If you are looking for a personally fulfilling, well-compensated job that will provide you with incredible growth opportunities, then it’s time to consider getting into the automotive industry. Millions of cars are sold every year in the U.S. and that creates millions of employment opportunities for job seekers. Porsche of New Orleans is the perfect place to start your automotive career and will help you reach new levels of personal job satisfaction. Our New Orleans dealership has many different divisions that are staffed by highly trained and motivated people. Many of our team members came from backgrounds outside the auto industry, so if you don’t have previous auto experience – that’s okay! Porsche of New Orleans offers a friendly and supportive atmosphere for all our employees with ample opportunities to climb up the success ladder. If you’re feeling burnt out or just aren’t progressing like you want to at your current place of employment, Porsche of New Orleans can offer full-time jobs that are rewarding and allow you to reach your maximum potential. 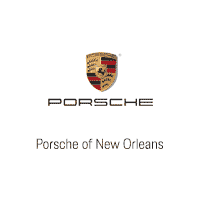 Porsche of New Orleans is one of the premier luxury car dealerships in Louisiana. We offer a great selection of new Porsches; one of the most legendary luxury and performance brands in the industry. Due to the fact that we sell Porsches, we also receive many other luxury brands as trade-ins which allow us to stock a large variety of high-line pre-owned vehicles as well. Our service department is state of the art and offers the kind of premium amenities that luxury buyers demand and expect. All three of these areas of our business (new car sales, pre-owned sales, and service) are always looking for new members to join the team. Porsche of New Orleans offers in-depth and extensive training for all new hires and, in some cases, even sign on bonuses. We are a family-owned and operated business, so we treat each and every employee with respect and dignity just like they are a member of our family. Ready to Work Our Dealership? Porsche of New Orleans offers competitive compensation packages, benefits, and training for all our new hires. If you are ready to join an award winning dealership team, just contact us. We are always searching for new talent in our sales, service and administrative divisions and offer an amazing facility to work in. We are a family owned business and unlike working for a faceless, corporately owned dealership, you’ll see our owners around the store on a frequent basis. Give us a call today at 504.832.2112 or stop by our dealership located at 3700 N. Causeway Blvd, Metairie, LA 70002.